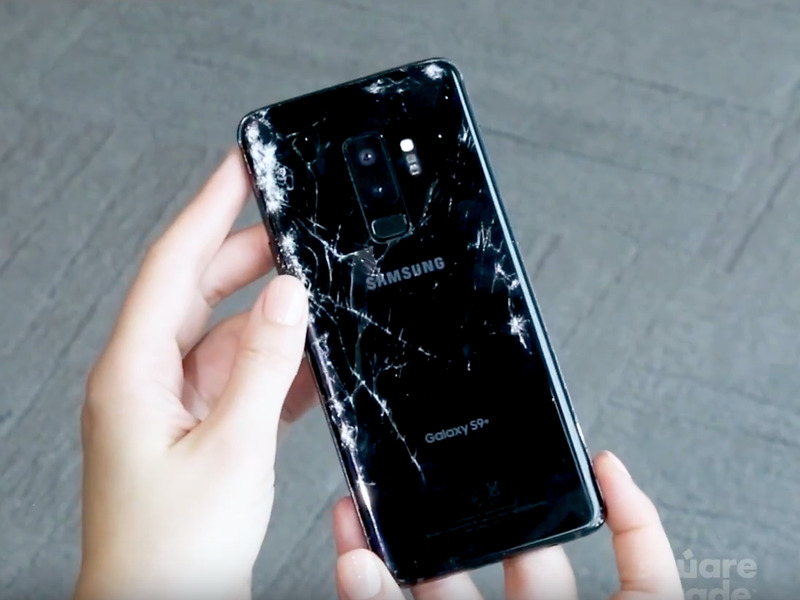 SquareTrade/YouTubeSamsung’s Galaxy S9 after a back-down drop test. 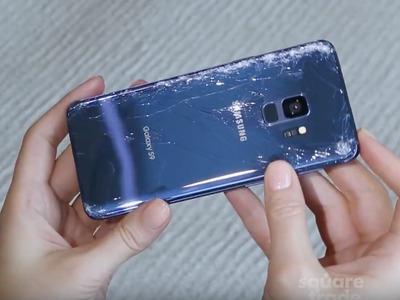 Samsung’s new Galaxy S9 might be the most durable high-end smartphone you can buy, but it’s still prone to cracks and loose shards of glass when dropped. 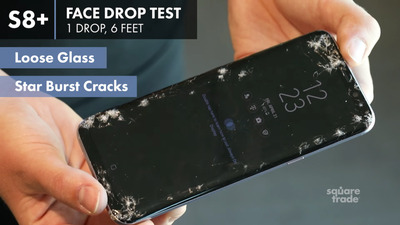 SquareTrade, an insurance company owned by Allstate that specialises in protecting electronics, performed rigorous drop testing on the all-glass Galaxy S9, Samsung’s latest flagship phone. SquareTrade found that the Galaxy S9, which starts at $US720, was more durable than last year’s model, the Galaxy S8. The new device also held up better than the iPhone X. Still, the Galaxy S9 shattered on the first drop and suffered what SquareTrade called “extensive damage” throughout its testing. Check out the results of SquareTrade’s drop tests. First up: the back-down drop test. The Galaxy S9 immediately shattered and showed several cracks. The Galaxy S9 Plus fared even worse. Not only did it crack and shatter, but the phone had loose glass after its first test. After being dropped face-down, the Galaxy S9’s screen had hairline cracks and loose glass. 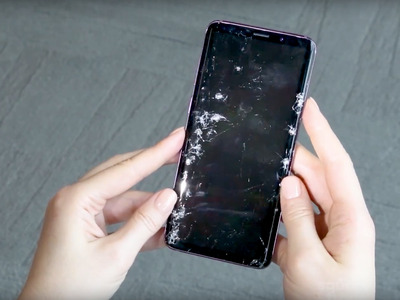 The Galaxy S9 Plus had a shattered screen and starburst cracks after the face-down drop test. 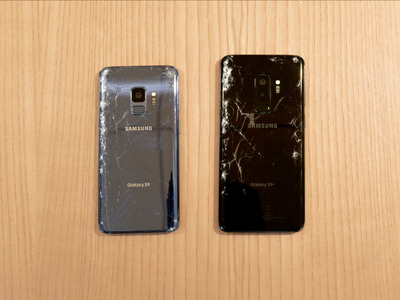 Despite the severe damage, the Galaxy S9 actually held up better than the Galaxy S8 in front drop tests. After the same test last year, the Galaxy S8 had a shattered front and sharp shards of glass. After a tumble test, both the Galaxy S9 and Galaxy S9 Plus had corner damage and hairline cracks on the front and back. SquareTrade gave the Galaxy S9 an overall breakability score of 71, or medium risk. 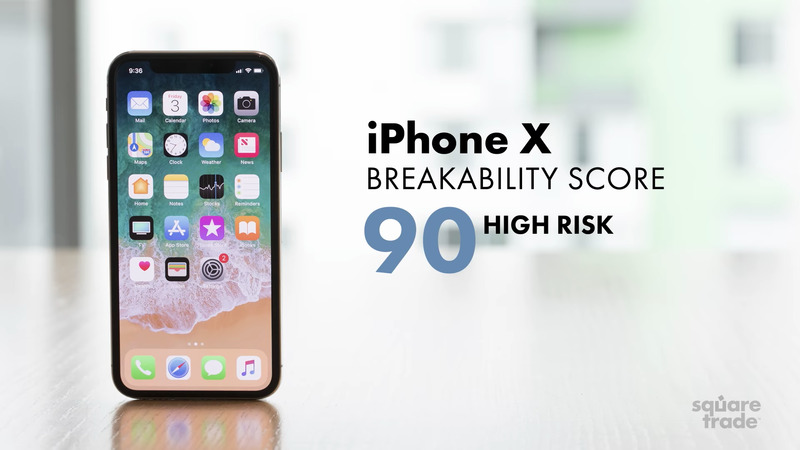 The Galaxy S9 Plus received a breakability score of 76, or medium-high risk. The Galaxy S8 and Galaxy S8 Plus had a breakability score of 76 and 77, respectively. Compared to the iPhone X, though, that score is pretty good. SquareTrade gave the iPhone X a breakability score of 90, or high risk.